Hello, have you deleted or lost your important data off from external hard disks, flash drives, digital camera or mobile phone SD cards, CF cards, Micro SD cards or memory cards after accidental deleting, shift deleting, emptying recycle bin, mistaken drive format or reformat, sudden computer power loss or PC crashing, during this happy period when the Thanksgiving’s Day doesn’t really go away and the New year’s Day is coming? OK! No panic! iCare Data Recovery does have offered a special Thanksgiving and New Year’s giveaway for all people and shared a free lifetime license to everyone so they can download and apply iCare Data Recovery Pro to recover lost or deleted important data for free. iCare Data recovery Pro, as one of the best data recovery tools out there, is popular for its three outstanding features. Firstly, it is created and developed with three well-designed data recovery modes (including Deep Scan Recovery, Lost Partition Recovery and Deleted File Recovery) which allows users to recover different videos, songs, movies, documents, archive files, audios, mails, messages and more prevailed files from external hard disk, internal hard disk, lost or deleted computer partitions, flash drives, SD cards, Micro SD cards, CF cards and other memory cards when there are some unexpected data loss troubles, like accidentally deleting or shifting valuable files and folders, mistakenly formatting or reformatting hard disks or memory cards without data backups, storage devices becoming inaccessible due to not formatted error messages, virus infection, CHKDISK is not available for RAW drives or RAW file system problems, sudden computer power surge, power loss or crashing, or other unwanted data loss issues. Secondly, this iCare Data Recovery software is designed as simple as possible so that it could be easily used by anyone no matter whether he has tried such data recovery software before. Thirdly, this data recovery software is also read-only and will not corrupt or rewrite any original storage device data during data scanning, previewing and recovering processes in case of causing any worse data loss trouble unintentionally. Overall, iCare Data Recovery software is worth trying. 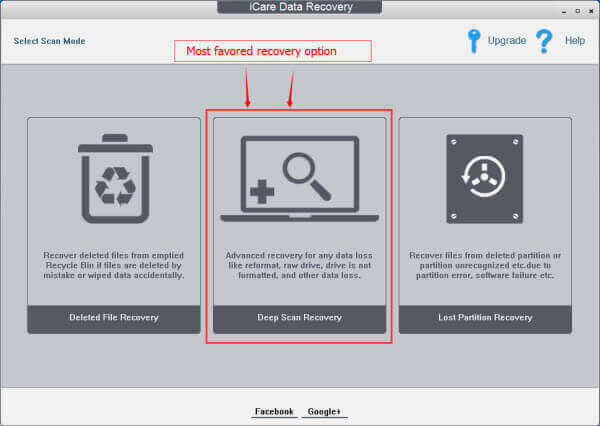 How to Get iCare Data Recovery Pro Registration Code & Retrieve Lost Data for Free? 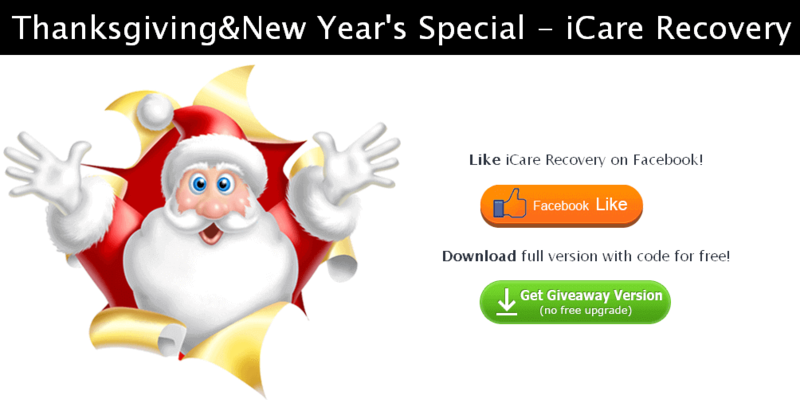 Open iCare Recovery Giveaway Page, like iCare Data Recovery on Facebook and download the full version of iCare Data Recovery Pro. Extract the downloaded compressed iCare Data Recovery Pro files and install the extracted iCare Giveaway EXE file. Activate the installed iCare Data Recovery Pro with a free lifetime license code written on an extracted TXT file named as “Code”. Run iCare Data Recovery software to scan and recover your storage device data at last.